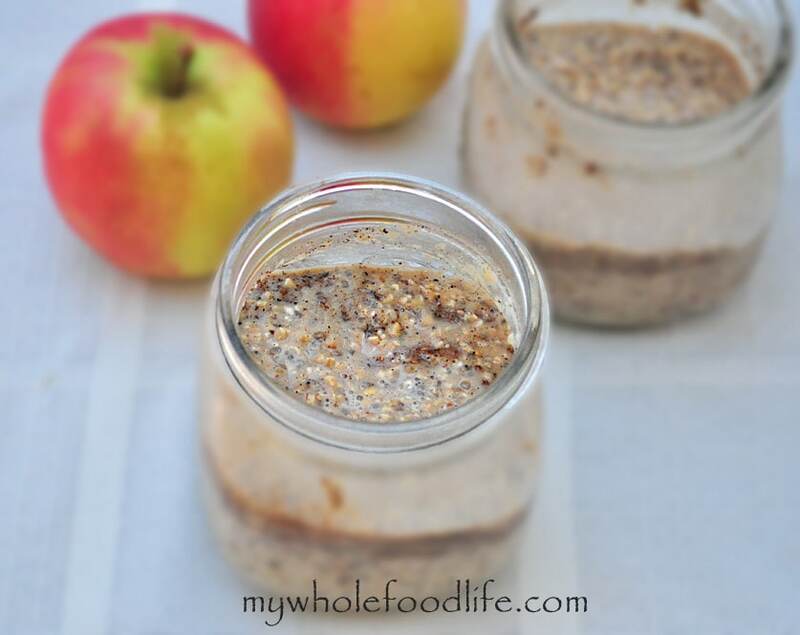 Apple Cinnamon Overnight Oats. Fall is just around the corner. That makes me think of warm smells like cinnamon and nutmeg. I just love it! This recipe is like having the fall flavors all wrapped up in one yummy breakfast! If you have already made my Almond Butter Overnight Oats, you know that this recipe is super easy! This oatmeal has a little crunch in the morning from the steel cut oats. If you like more of a smoother oatmeal, then rolled oats may be better for you to use. I make up a whole bunch of these and then just grab and go during the week. I added no sugar to mine at all, but if you like your oatmeal a bit sweeter, I will put an option in the ingredients. Check out this video for a pumpkin version of overnight oats. For more videos, you can subscribe to my You Tube Channel. Throw all the contents into a jar and mix well. Stick in the fridge overnight. I put mine in small mason jars . They work great! I eat mine cold, but you can certainly heat your up if you like. Enjoy!